outside the loveliest restaurant ever - darren bought me a rose at dinner! - triple ootn! Hey beauts! I'm baaaaack! I intended to get a proper post up today, which I planned to write yesterday, as I'd planned to be home at around 8pm, as we'd planned to fly back at 6pm Spanish time yesterday evening. Ryan Air on the other hand, had other plans. So after a seven hour delay, then having getting home at 4am this morning and then going to work in the salon today, my brain has turned to absolute mush, so trying to write a 'proper' post, is just going to end in delirious rambling and very poor quality photos, so we'll give that a miss for now! 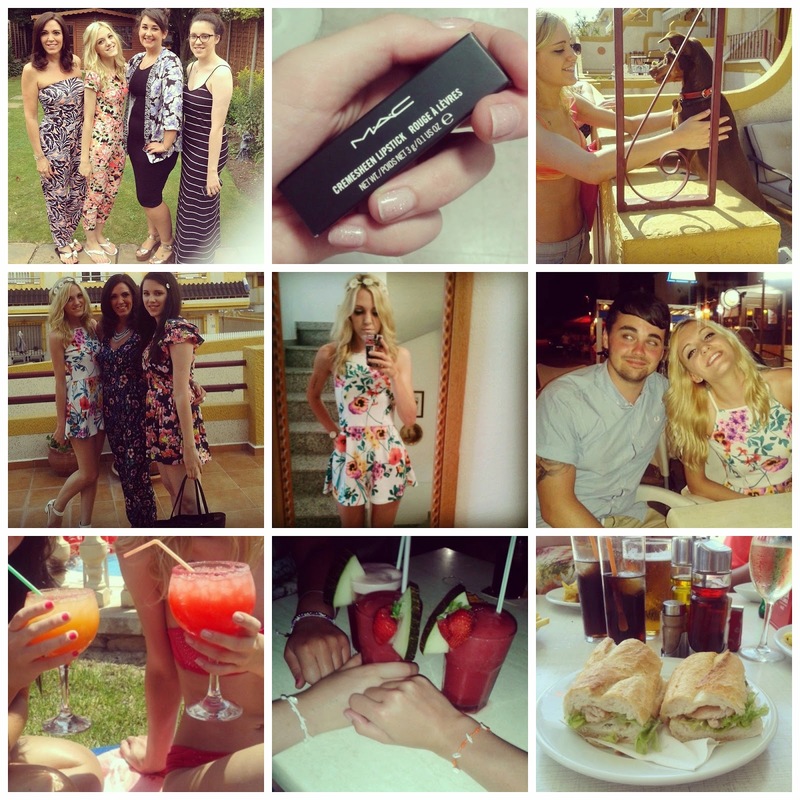 So, instead, here are a few snaps from my holiday in spain, which other than the hideous journey back, was absolutely lovely. I have some serious tan lines and some fab free highlights going on, shout out to the sun for that one. After a fab chilled out week, I'm back and (brain melting tiredness aside) raring to go! I have lots of blog posts planned for you all and plenty of exciting things coming up on the blog. For now though, I'm off to consume all the caffeine while catching up on all the TOWIE I've missed. I'm so jealous of your holiday, looks lovely! Looks like a great break! 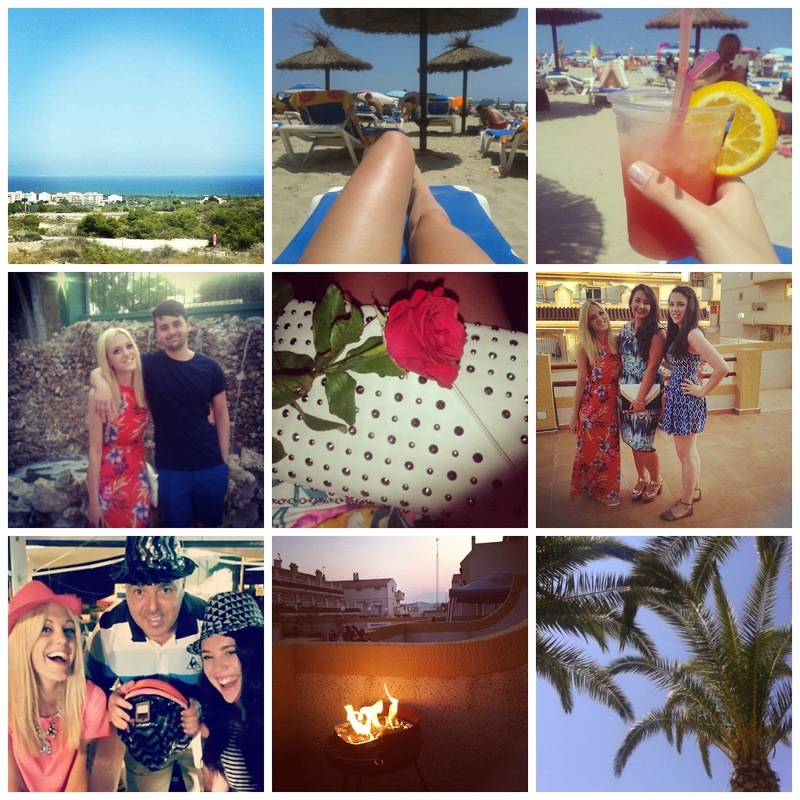 Lovely pictures, hope you had an amazing time! Looks like you had an amazing time. Your mum, you and your twin sister are beautiful! So jealous, I'm missing the summer so much! Looks like you had a lovely holiday! Hope you are tanned up!!? aha!